The ‘Godzilla of Earths!’ is in the foreground. Behind it is the smaller ‘lava world’. Their sun, in the back, appears to have been created only 3 billion years after the Big Bang. Based on what we know about how solar systems form, researchers thought that a giant rocky planet could not exist. But they just found one that’s 17 times Earth’s mass. They’re calling it the Mega-Earth. Scientists say the new planet may have “profound implications for the possibility of life” on extra-solar planets, according to a press release from the Harvard-Smithsonian Center for Astrophysics. They announced the finding in a talk at the American Astronomical Society meeting in Boston. Researchers have always thought Mega-Earths were impossible since any planets that big would attract hydrogen gas, forming a gas planet like Jupiter. Mega-Earth, also known as Kepler-10c, is 18,000 miles in diameter and 2.3 times as large as Earth. It appears to be as solid as the planet beneath our feet. Kepler-10c was previously known to astronomers, but they had not yet measured its mass. Due to its size — 2.3 times that of Earth — it was assumed to be a “mini-Neptune,” a planet encased in thick gas. But the new observations have confirmed that it is rocky, not gassy. It orbits an 11-billion-year-old star named Kepler-10 located 560 light years away from Earth. Its year lasts only 45 days. Interestingly, this solar system is over twice as old as our own — it was born less than 3 billion years after the Big Bang. “We were very surprised when we realised what we had found,” study researcher Xavier Dumusque, of the Harvard-Smithsonian Center for Astrophysics, said in a press release. We’ve always thought a rocky planet is the best place to look for life, since life on a gas giant is hard to imagine. From what they have observed, the planet may also have an atmosphere with thin clouds, another good sign. Researchers had previously thought that this kind of planet impossible. Not only did they think something that big would be a gas giant, but they didn’t even think the elements that make up a rocky planet existed in our universe when this solar system was born: The early universe had only the lighter elements of hydrogen and helium. Heavier elements were forged from these lighter ones in stars over billions of years. Because of this, many scientists hadn’t been looking for rocky planets in these very old solar systems. 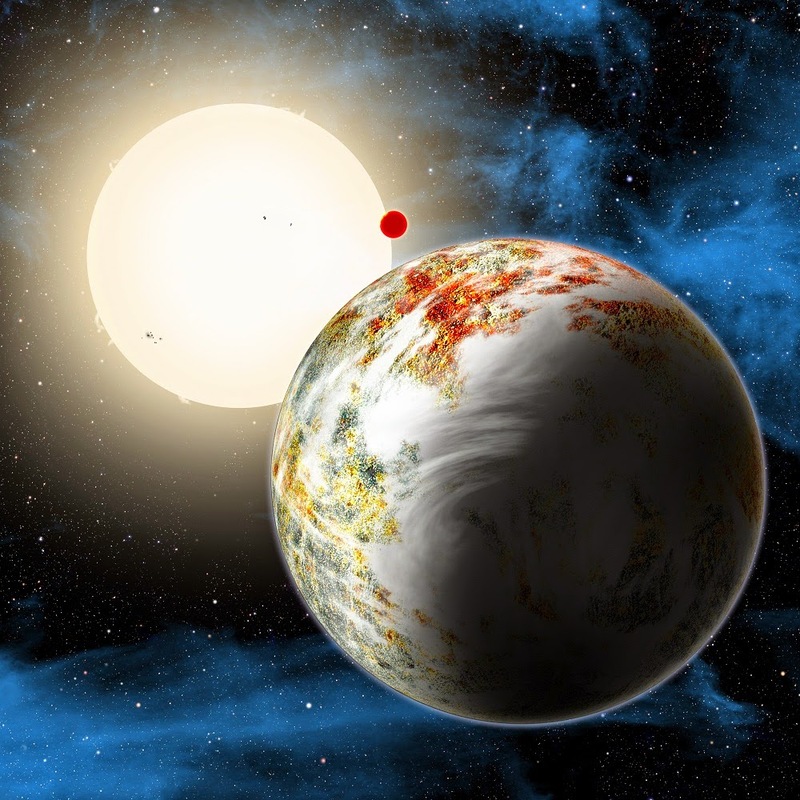 “Finding Kepler-10c tells us that rocky planets could form much earlier than we thought. And if you can make rocks, you can make life,” study researcher Dimitar Sasselov, of the Harvard Origins of Life Initiative, said in a release. The mega-Earth isn’t the only weird planet in its solar system. There’s also a ‘lava-world’ 1.5 times Earth’s size whose year lasts only 20 hours.